The Delta Police Department (DPD) is a progressive force serving a population of about 100,000 people in Delta, BC. They have developed a strong reputation for success both in and outside their community with the policy, “No call is too small”. Since 2011, Indalma has worked with the department on projects that steadily develop and enhance the force’s brand. One of our earliest projects was to adapt the central policing crest, which all departments must feature, for DPD’s own use on their uniforms and vehicles, and in print and online. 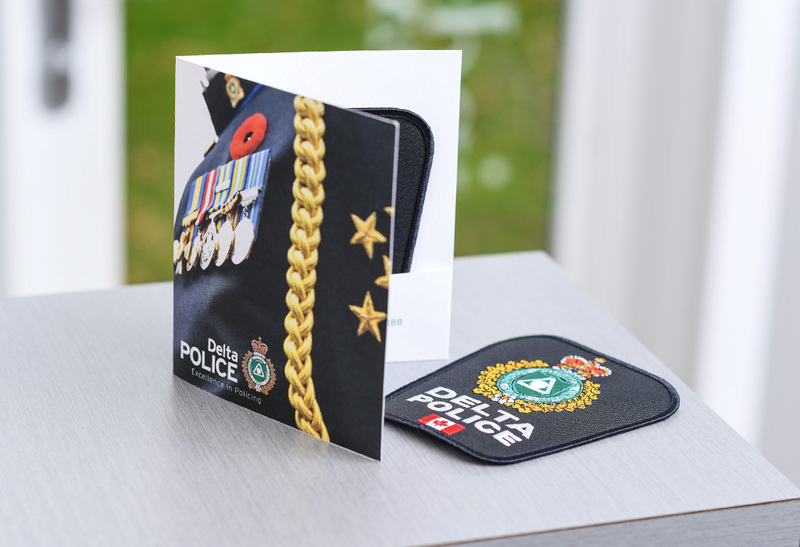 Since then, the DPD has continued to develop their brand to express their professionalism, their progressive approach to policing, and their connection to the community. We have helped them develop a visual identity with an approachable, relatable style – their annual report features their own members in action in the community – and we provide ongoing feedback on images and messaging that will achieve their goal of connection, from vehicle graphics to signage. 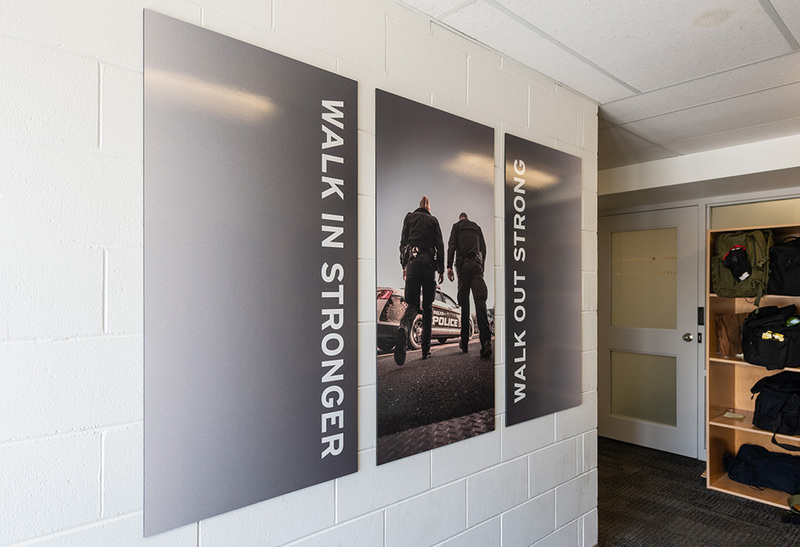 Our projects for the department include major interior and exterior signage, including a fifteen-foot wall of glass in their media room and signage for three community policing stations. We collaborate with staff and members to create messaging for members-only areas of the main station – inspiring pride and reinforcing the department’s professionalism and work ethic in a way that speaks directly to members.